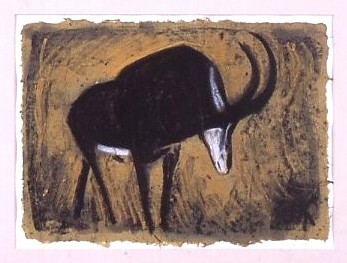 Caption: Sable Antelope, about 2000, by Jonathan Kingdon. Kingdon is an internationally acclaimed naturalist and artist. He has spent a lifetime studying the behaviour of animals, particularly African mammals. He now lives in Oxfordshire.